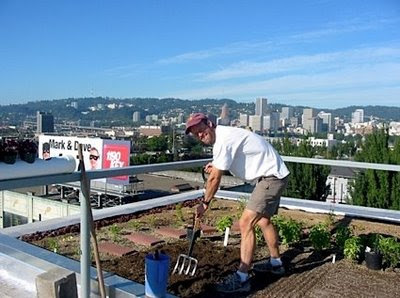 I had the opportunity today to see a presentation by local urban agriculture guru Marc Boucher-Colbert (the man behind the Rocket Restaurant rooftop garden here in Portland). Instead of focusing directly on rooftops, he outlined a broad version of urban agriculture through an investigation of a range of possible strategies for our cities. This is all information investigated at length at times here on L+U and Veg.itecture, but I thought it apt to summarize the ideas from the lecture, as they provide a great overview and were a really inspiring collection of ideas woven together into a strategy. The starting point of the discussion took a look at the thriving guerrilla gardening movement worldwide as a quick response to the bland and life-less environment we exist within in our urban areas. 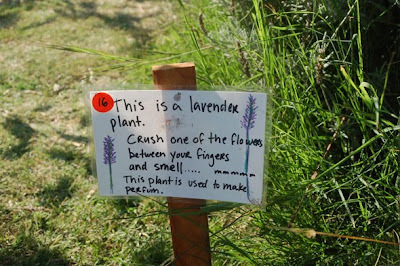 Both safe anarchy and also, via Wikipedia... "political gardening, a form of direct action, primarily practiced by environmentalists. It is related to land rights, land reform, and permaculture. Activists take over ("squat") an abandoned piece of land which they do not own to grow crops or plants. Guerrilla gardeners believe in re-considering land ownership in order to reclaim land from perceived neglect or misuse and assign a new purpose to it." 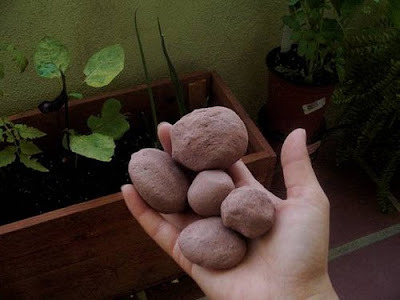 A side-note of the discussion dealt with the production of seed bombs (or the less provocative 'seed balls') as a way of simply and efficiently distributing plant life to our streets, vacant lots, and other left-over spaces. Again via Wikipedia: "A seed bomb is a compressed clod of soil containing live vegetation that may be thrown or dropped onto a terrain to be modified. The term "seed grenade" was first used by Liz Christy in 1973 when she started the "Green Guerillas". The first seed grenades were made from condoms filled with local wildflower seeds, water and fertilizer." As a fledgling guerrilla gardener myself, it's pretty damn cool and quite liberating. Give it a try. The idea of front and backyard gardens isn't a new idea (don't tell Fritz Haeg) but have become a cause celebre for re-occupation of our urban and suburban spaces. Call them Victory Gardens, or Edible Estates, or hell, call them 'this is the only place I can find good sun in my yard' - this isn't a new idea come back, but rather something that has always existed and has now re-emerged as a vibrant movement. 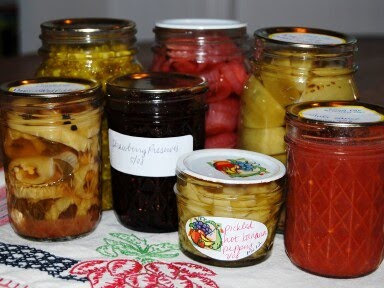 Growing vegetables at your home is the ultimate in local food, and also engages people in exercise, meditation, and a range of other benefits - making it both a productive activity and a hobby worthy of your time. Marc explained that while the idea of taking back the lawn is laudable, there is a grim reality to the concept of agri-buisiness, summed up in the following fact: of 'food' grown in the US, 1.5% is fruits and vegetables, while the other 98.5% consists of grain and oilseed, which any reader of Michael Pollan will know goes to meat production, biofuels, various corn products and other detached food we consume in many ways. 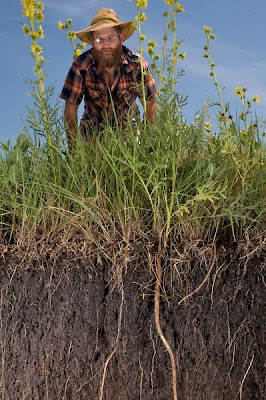 This led to another new figure in the story - of Stan Cox, who works with one of my heroes, Wes Jackson at The Land Institute, reinventing corporate agriculture through a new model of perennial production based on the tallgrass prairie ecosystems. The other models beyond reoccupying the land you have is the sub-economy that include yard sharing or other means that leverage open land with the energy and desire of those to garden. By taking the land of folks that have surplus, or don't have the time to garden places like Your Backyard Farmer or Hyperlocavore offer a range of options to use land in cities for productive uses. 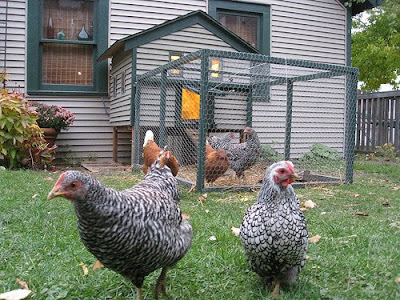 Again this trend can also go beyond just gardening to include other trends such as backyard chickens, pygmy goats (great for blackberries) or other trends suitable for urban locales. Another vital aspect of both food production and urban life is the community garden, where the interactions between people are just as important as the growing of vegetables. The idea of a range of programs, including those run by the city (such as in Portland), cooperatives, and other models. While a large part of the eventual urban agriculture puzzle, many communities are currently dealing with huge demand and a lack of funding to provide more supply. 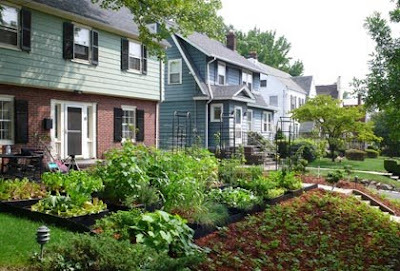 While the need to fund these programs will continue, there is also a need to look beyond the plots to a larger picture of gardening in cities. 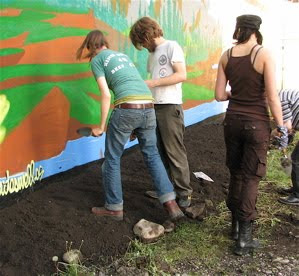 The overall conceptual framework of community gardening can be found at the resource-rich site for the American Community Gardening Association (ACGA) which provides information on starting and maintaining community gardens throughout the country. As Marc pointed out, much of the training and education for the ACGA is focuses on engaging community resources and partnerships - taking the tack that is you build community, this is lead to a thriving garden - and you can figure out the training of food production and other added services later. Finally, the idea of subsistence and market farms, or a combination of the two, offers a range of opportunities to offer gardening, community, and the ability to make money through the use of these sites in cities - offering for green job creation. Also, included in the idea of community gardening and education is the value-added ideas of food preservation, chickens raising, small animals, beekeeping, and other more agriculturally related ideas to round out the potential for urban ag. While encompassing a range of institutional gardens such as hospitals, prisons, and other urban uses, school gardens provide a unique opportunity to provide food and education, as well as utilizing large amounts of available land. 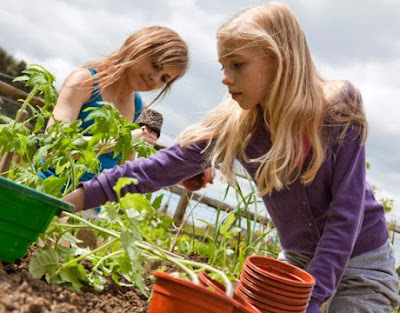 Modeled after the ground-breaking Edible Schoolyards" program in Berkeley started by chef Alice Waters "...to create and sustain an organic garden and landscape that is wholly integrated into the school’s curriculum, culture, and food program." which has been copied around the country in many locations. A local project that provides a bridge for schools and food in Portland has been taken on by the fantastic local non-profit Ecotrust called the Farm to School program, which: "...enable schools to feature healthy, locally sourced products in their cafeterias, incorporate nutrition-based curriculum in all academic disciplines, and provide students with experiential agriculture and food-based learning opportunities, from farm visits to gardening, cooking, composting, and recycling." These connections between food and school continue to offer many possibilities in cities throughout the world. Covered in detail on the web, the idea of rooftop gardens is definitely a love of Boucher-Colbert, who installed the project on the Rocket (now the Noble Rot) which has become a model project that gets a lot of comments for the kiddie-pool planters, (an inspiration from Joe Ebenezer from Chicago - read about him here) as a low-cost planter alternative and using it as a test for production techniques which are used in the restaurant one floor below. Obviously there are some limitations to rooftops, and difficulties with gardening due to wind, temperatures and other issues. As we provide incentives for more eco- and green roofs atop buildings, growing vegetables will become a continually growing trend as urban land costs make terrestrial farming a less financially viable proposition. The use of vacant lands for farming is definitely a hot topic in areas like Detroit, but even in a number of locations like Oakland, which recently identified 1200 sites available for farming - or Montreal, which has implemented permanent agricultural zones that are protected from development - consisting of almost 4% of the Cities total land. The focus in Portland is on the much discussed and somewhat disappointing implementation of the Diggable City project in 2004-05 which looked at city-owned lands as possible opportunities for establishing: "... an inventory of vacant, publicly-owned land in the Portland area, and to start a conversation about how that land might be used to support urban agricultural activities." The large number of sites have over time been whittled down to a few - and little has been done on any of this pilot projects - even though hundreds of brownfields, vacant lands, and other opportunities still exist. The integration of agriculture in green building is definitely making strides, as certain points for LEED ND, and potentially other systems can be achieved through the addition of garden plots of agricultural land. This allows for more multi-functional landscaping that includes productivity and use, which was difficult at times to reconcile with green buildings due to added water use and lack of totally native and adapted plantings. Our next task is to develop more year-round, lower maintenance permaculture-based planting that meet aesthetic and functional goals long-term. 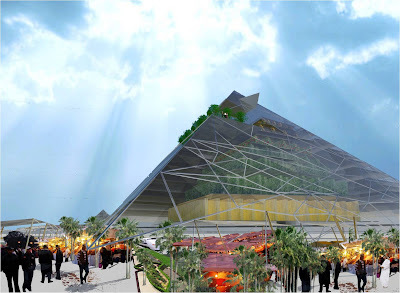 Another aspect which spans this category and the next is the concept of Building Integrated Sustainable Agriculture (BISA), which begins to work with walls, rooftops, and other spaces to integrate food production in buildings. This also begins to expand beyond this to using waste heat and water from buildings to heat greenhouses and extend growing seasons to increase productivity. 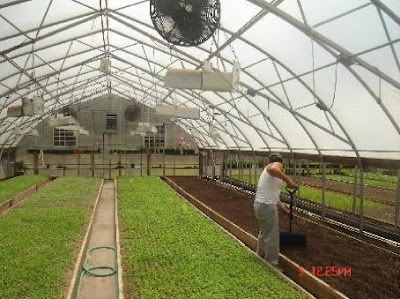 Examples abound, including Mithun's concept urban agriculture project (using the Living Building principles) as well as older examples like Eli Zabar's rooftop garden in Manhattan, to name a few. The concept also begins to looks at other agriculture products like chickens, bees, aqua- and hydroponics to maximize space and maintenance as well as blend systems together into closed-loop systems that treat waste as food for other phases of the system. 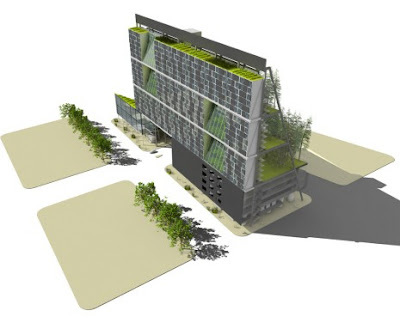 Picking up on the threads popularized by Dickson Despommier et.al, the idea of the BISA mentioned in green building is now blown up into the full-fledged phenomenon of vertical farming, which is exciting but needs some serious thought as to the viability of how this actually works and what the economic and social implications are. Boucher-Colbert was interested but skeptical, as there seem much more obvious low-hanging fruit (pardon the pun) to look at first - but as density and food security become more important, all the options must be on the table. In closing, the eight concepts here span a wide range of possible agricultural interventions in our urban environment for getting to the root of food in our cities. It goes beyond production to include community, interaction, and a range of benefits such as habitat, beauty, and cooling - making the mix as important as the individual ideas. Peak Oil will warrant a close look at cities and a re-thinking of what we eat, where it comes from, and how much transportation is used to get it from farm to fork. So, as we transform from city-dwellers that keep nature and farming outside of the city to those that integrating food production into our spaces and daily lives - these tools provide a valuable arsenal for making the 21st century city a vibrant, healthy, and productive environment for all. Awesome article! This is beautifully written article on landscaping and urban gardening. It was great to read all about various kind of gardens and history of the same. Loved the images you have added and the way you have explained the concept and terms of landscaping. Great idea. I do not have a garden, Can I grow the Plants to an area which is not cared or managed by anyone. is that legal? ?